Why is California suing the federal government over the Census? The Trump administration, anticipating millions may avoid answering the citizenship question it has added to the 2020 census, plans to mine immigration, Social Security and other state and federal records to check accuracy, and perhaps even change answers. 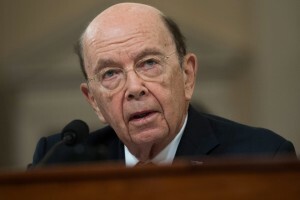 Commerce Secretary Wilbur Ross’s order, issued last week, requires the Census Bureau to collect data about citizenship status that can be matched accurately to each census form. “At my direction the Census Bureau is working to obtain as many additional federal and state administrative records as possible to provide more comprehensive information for the population,” Mr. Ross wrote. The change could lead to costly and cumbersome cross-checking and to new questions about the accuracy of the census, a tool used to draw congressional districts and apportion government spending on programs.